The models are all on serious R&R vacations, the designers are all sleeping in, and the photographers are finally letting their cameras cool down. 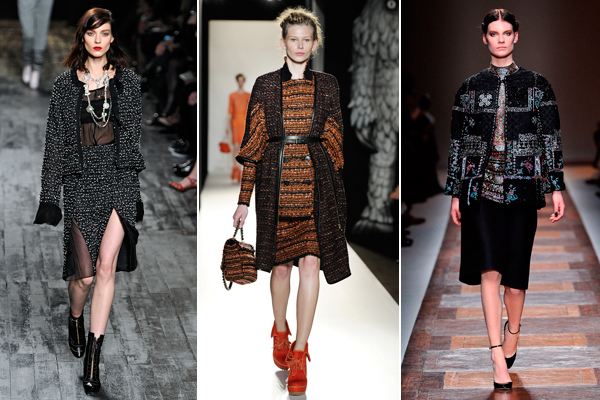 The last of the Fashion Weeks may have ended, but we’re just getting to the good part — hashing out the trends, of course! The overarching themes for fall are boxier shapes, twists on work dressing, and nerdy-grunge revamps, but we’ve whittled it down to fifteen looks that really get our style gears turning. 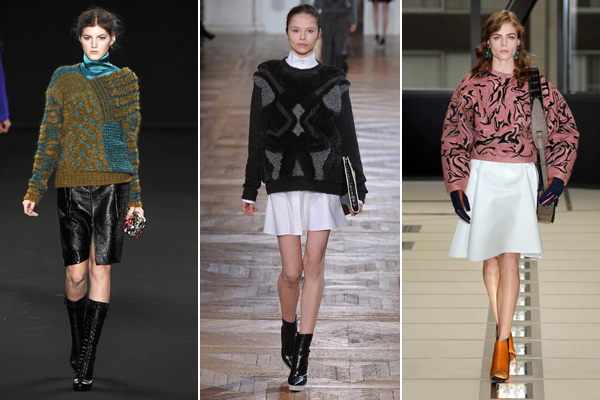 From padded hips to the return of the Cosby sweater, here are the trends you’ll see everyone wearing, come fall. 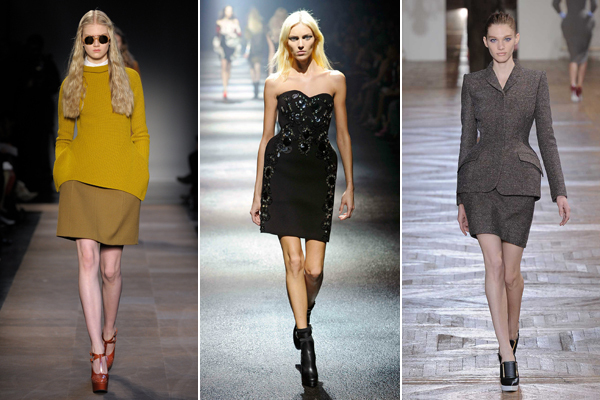 Padded Hips — Exaggerated, full hips were everywhere — a boon for those of us who don’t already have an hourglass figure. Peach — Softer and more soulful than last season’s pale pink, peach is a color that looks great with other nudes, or paired with more vibrant hues. Laser-Cut Lace — Thick fabrics were laser-cut with lace patterns and turned into clothes that looked like a beefed-up, badass doily. And that’s a good thing! 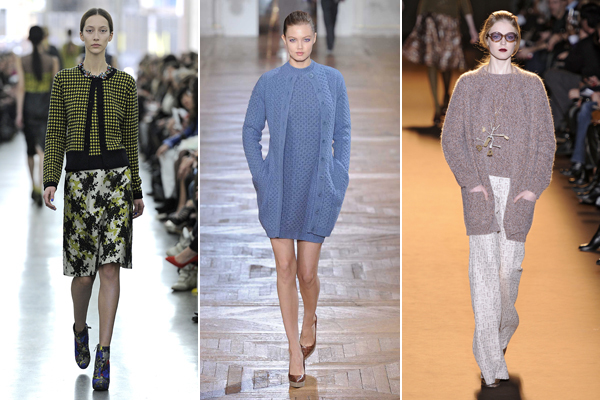 Glitzy Tweed — Regular tweeds were given a glam makeover with metallic threads, slimmer silhouettes, and cheeky embellishments. 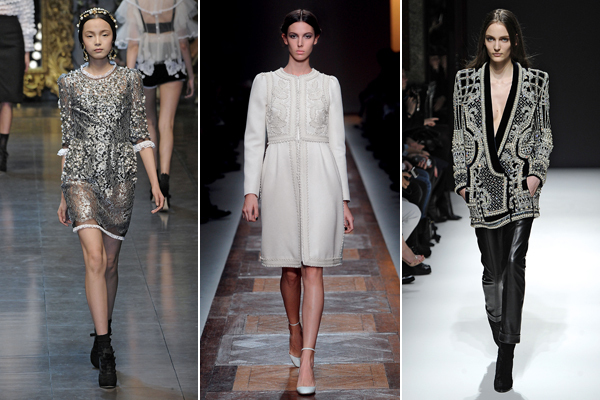 Pearl Beading — Whether scattered on sheer dresses or used to create intricate embroidery, pearls ran the gamut this season, looking old-world delicate like at Valentino, or completely rock-‘n’-roll at Balmain. Cosby Sweaters — Dr. Huxtable would have been all over these graphic, in-your-face sweaters. 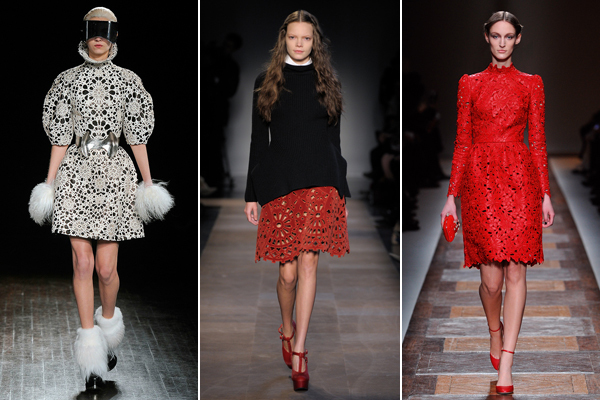 We love how the shows styled them, with solid-colored skirts, boots, and a layered turtleneck. 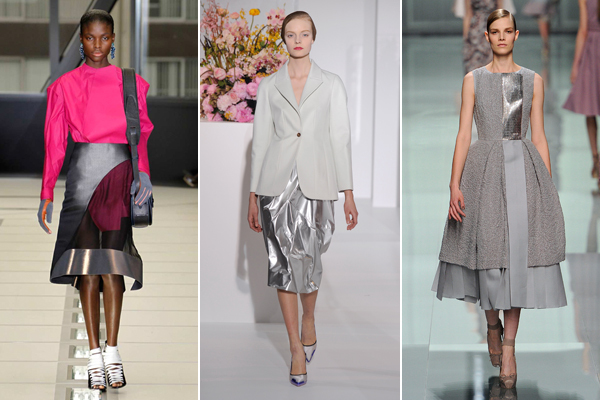 Silver Trimmings — Instead of in large swaths of silver, this metallic shade popped up in unexpected ways: to line the hem of a skirt, to accent a the break in a peplum, and to balance out a prim blazer. 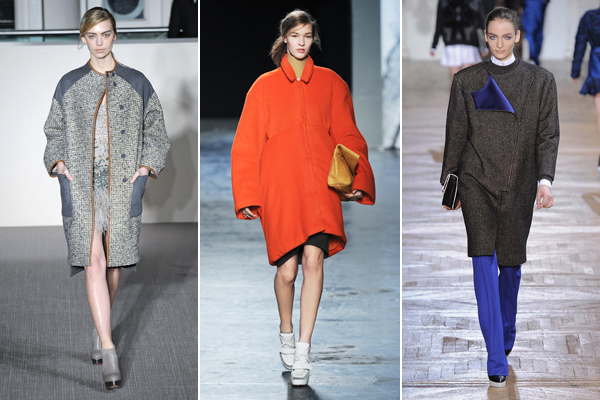 The Extra-Large Coat — Coats with rounded shoulders, baggy sleeves, and knee-length cuts were ubiquitous this season. 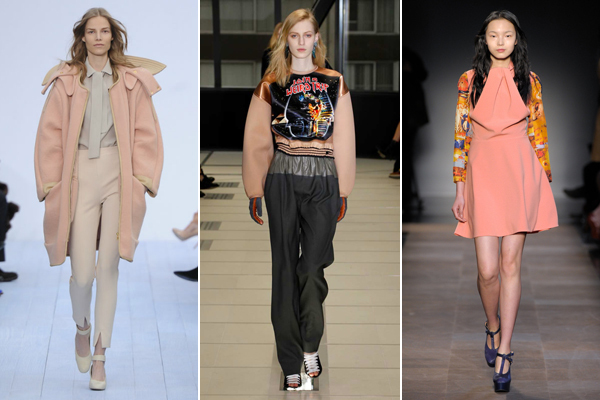 Worn with sporty separates, this ’60s-by-way-of-’80s shape looks new and modern. Long Shift Dresses — From ankle-length to floor-length, these long shifts help create a super-sleek silhouette while playing with patterns, embellishments, and prints. 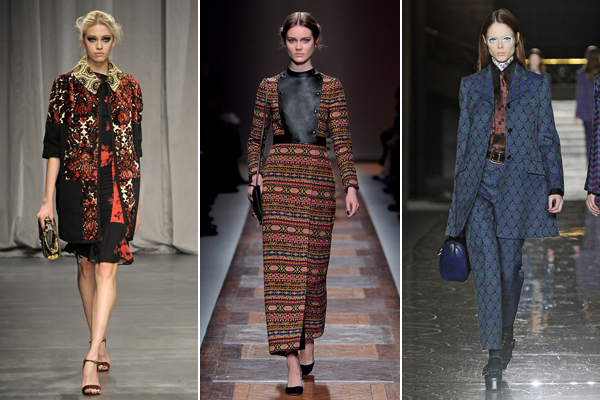 Skirt Suits — These aren’t your average corporate suit sets. In awesome materials, great jackets, and flirty cuts, these fit in better at a party than in the boardroom. Sweater Sets — Thank you, Michelle Obama! We love the matchy-matchy sweater sets as a cheeky layering option. 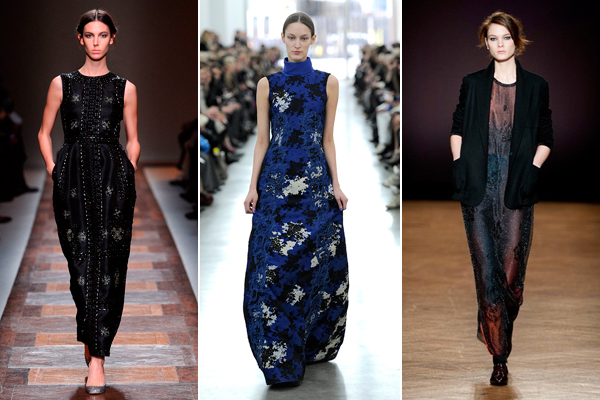 Spaghetti Straps — Super-thin straps made a comeback with the assistance of dark, dramatic dresses. 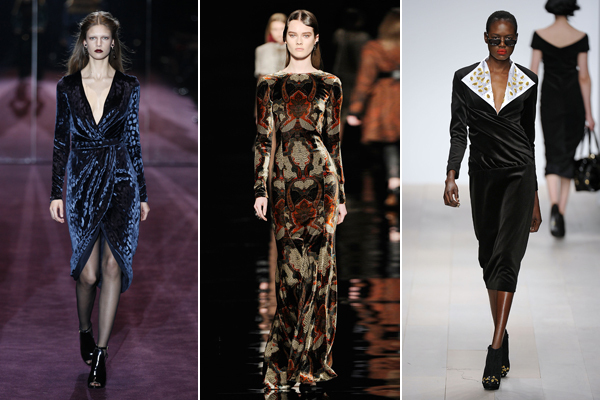 Tapestry Prints — Woven, embroidered, gorgeous tapestry prints showed up on the runway in the form of long dresses, rich coats, and beautiful suit sets. 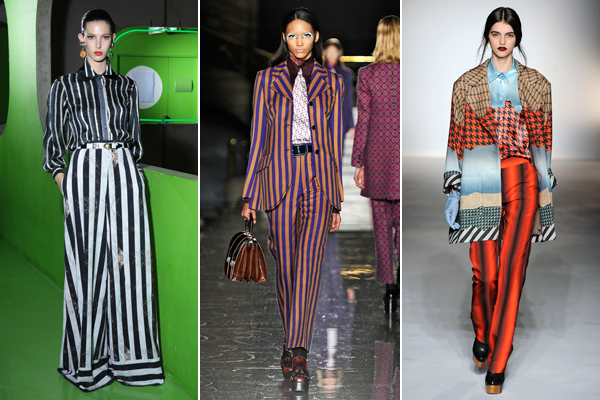 Vertical Stripes — Prison-striped pants, shirts, and blazers are slowly edging out horizontals as the stripe of choice. We love mixing up thicknesses à la Kenzo!